Extinguishing the data entirely is crucial and is a safe measure for all the organizations and in case, the deleted files are retrieves and reach the wrong hands then they can be fatal for your reputation and as well as the integrity and privacy of your company. Merely deleting files or moving them to trash doesn’t means you are free from your duties. E waste destruction is our job and we keep the privacy and protection of our clients as our topmost priority. We leave no stone unturned to unsure that nothing wrong happens with your data once you have allocated our job to us. 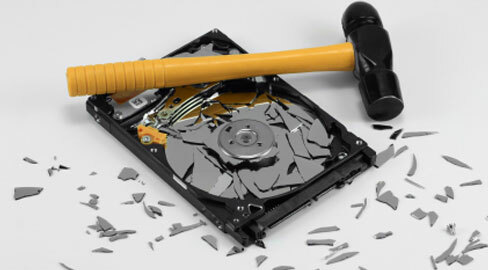 Why Data destruction is important? It is important to safeguard any leakage of information, files or details of your company to others. Leaked information and details can cost your company its reputation and a lot of money as well if reaches your rivals or others. Our comprehensive data destruction services provide end to end data destruction from its core and we do it in secure labs or right within your premises. In case data termination is impossible then we can help you by providing top grade Data destruction services which includes using the most advanced data shredders that shred the unwanted devices into uncountable pieces. This ensures no chances of any data recovery further and we will dispose the waste responsibly. We provide our clients with proper documentation of destruction to keep you aware of the records. If you seek liability services then data termination with Antioch is the right step. Decommission the gadgets and equipments including the desktop, laptops, etc and terminate the data complying the rules and protocols. Once we are done with our job, you won’t be able to trace any personal information any how!